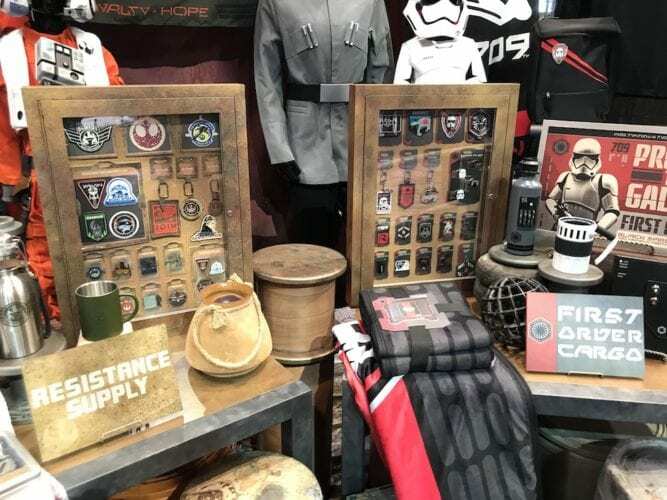 This merchandise will only be available inside Galaxy’s Edge at Disney’s Hollywood Studios and Disneyland park. 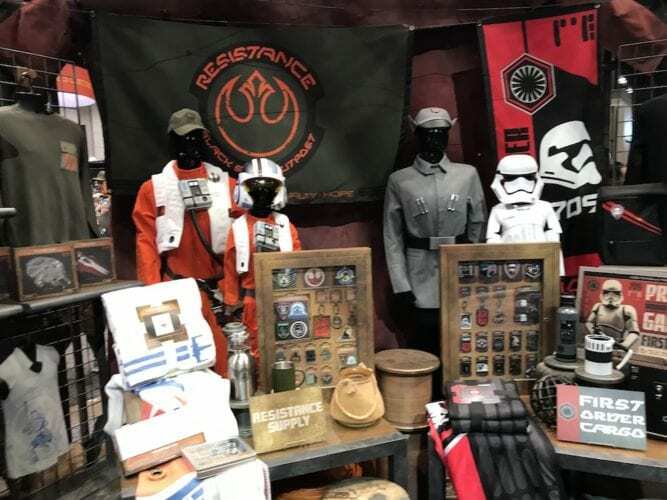 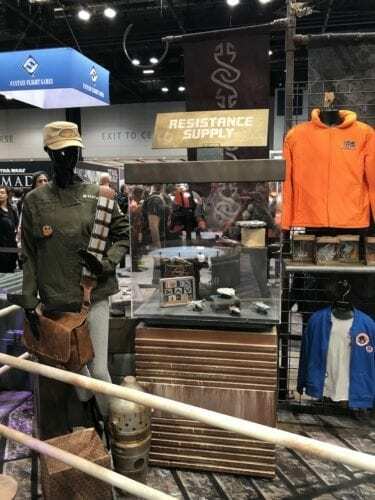 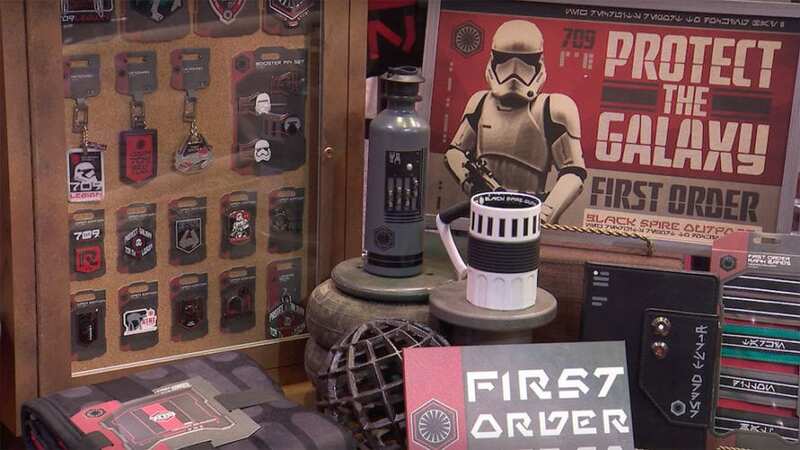 The displays will change at the booth throughout the weekend, highlighting items from Resistance Supply, First Order Cargo, the Marketplace, Droid Depot, and Dok-Ondar’s Den of Antiquities. 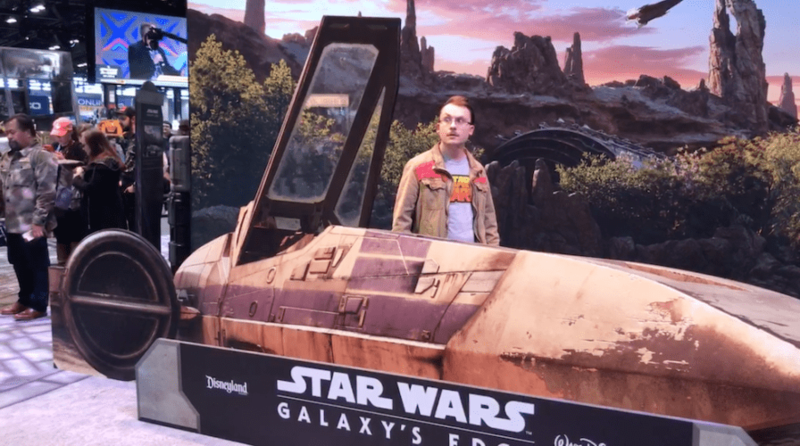 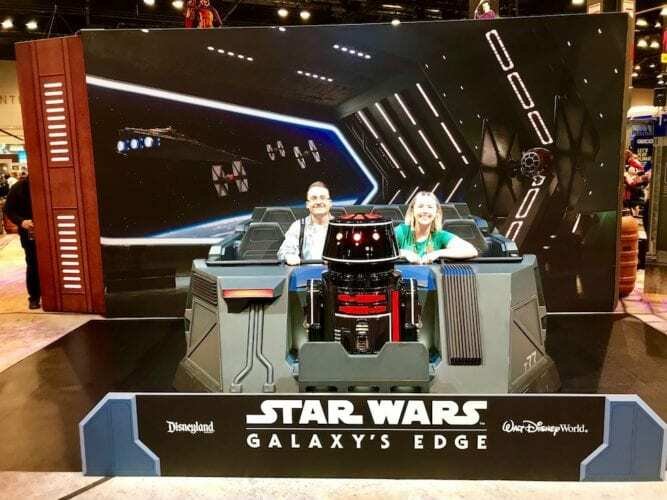 The booth also features three fun photo-ops, previously-unseen concept art for the land, “fan-fessional” booths where guests can share what Star Wars: Galaxy’s Edge means to them, and an actual ride vehicle from Star Wars: Rise of the Resistance, which will open with Phase 2 of the land at both parks later this year. 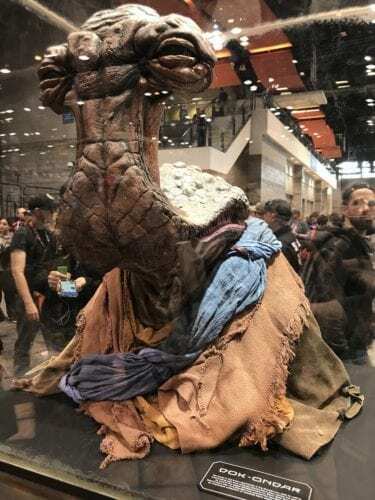 Dok-Ondar even made an appearance inside the booth!